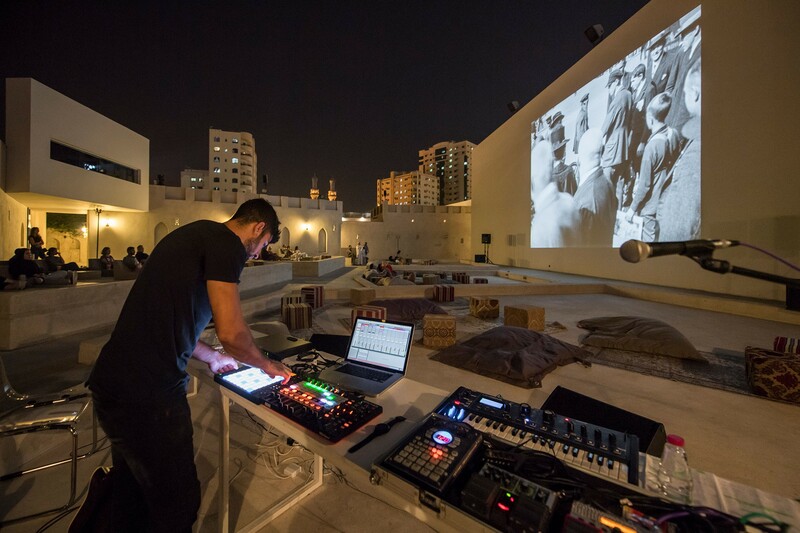 Sharjah Art Foundation (SAF) invites you to attend Re|sound II on Friday, 14 December 2018 at Mirage City Cinema. The programme will feature a screening of the avant-garde documentary film Enthusiasm: Symphony of the Donbass (1931), presented in tandem with a live music performance by experimental electronic artists Liliane Chlela, Salem Rashid and Shams Asma. This edition’s selected film, Enthusiasm: Symphony of the Donbass, was directed by Soviet filmmaker Dziga Vertov. The three-part film is a celebration of socialism in the region of Donbass (located in present-day Ukraine), where Stalin’s five-year plan focused its efforts to generate economic productivity. Vertov’s film techniques influenced many films that followed, and he is now considered a pioneer of documentary and radical moviemaking. Re|sound is a biannual event for musical experimentation in dialogue with the medium of film. The foundation invites locally and regionally based musicians to prepare and perform live original sets in conversation with a projected film. This event continues the foundation’s long and varied work in film and music. This event is free and open to the public. Visit sharjahart.org to learn more. Sharjah Art Foundation is an advocate, catalyst and producer of contemporary art. Through the Sharjah Biennial; the annual March Meeting; year-round exhibitions; film and music programmes; education and community outreach programmes; grants; residencies; commissions; and publications, the foundation encourages a shared understanding of the transformational role of art. All Sharjah Art Foundation exhibitions and events are free and open to the public, unless otherwise stated. Visit sharjahart.org to learn more.